Targeting traffic travelling into the capital from Heathrow, and the affluent regions to the West of London, the site delivers a fortnightly audience of over 1.2 million. 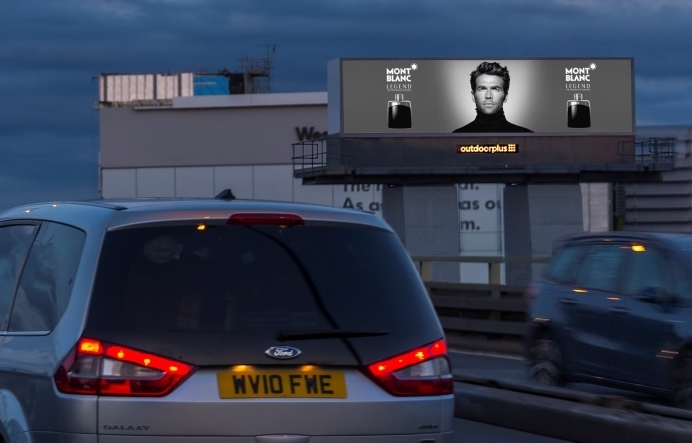 The elevated screen gives brands an opportunity to showcase on one of the busiest roads into London. Grant Branfoot, Sales Director at Outdoor Plus, said: “Our digital offering is the most advanced in the market so we’re proud to be the only DOOH media owner offering a landscape digital screen on the M4 London Gateway.